Luxe diamond ring sparkles from every angle. 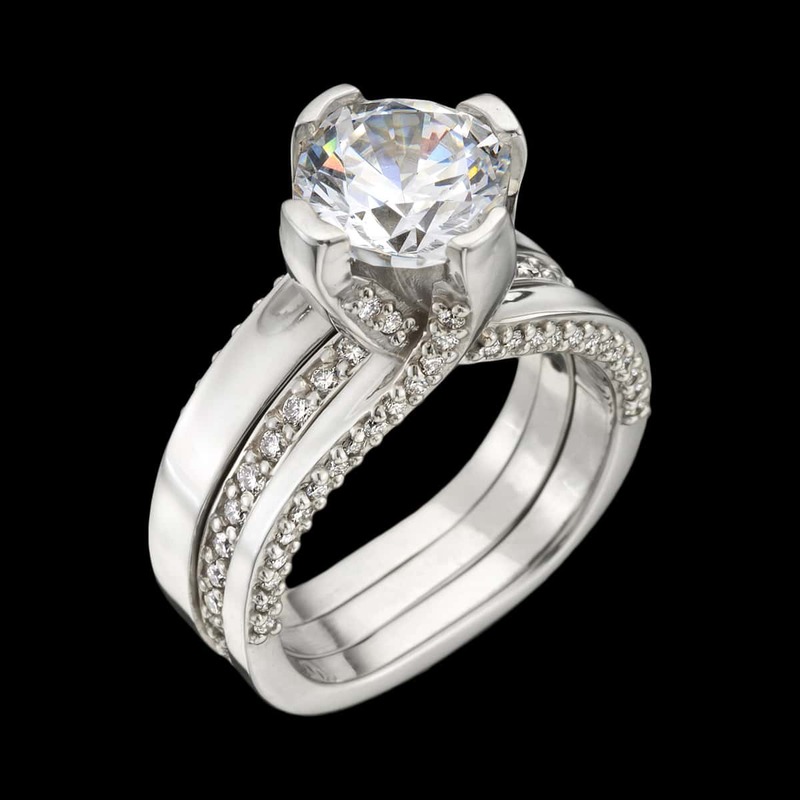 This luxurious ring includes .96 carats total diamond weight of accent diamonds surrounding a sumptuous center diamond. The band removable wedding ring incorporates .60 carats (approx.) total weight of channel set diamonds. Looking for the perfect center stone? We offer GIA expertise and competitive pricing for diamonds and colored gemstones. If you already have a center stone we can set it for you. To purchase, call (949) 715-0953 or use our contact form below. From his Laguna Beach studio, designer and goldsmith Adam Neeley pushes the boundaries of modern jewelry design. His award-winning jewelry is celebrated by jewelry industry authorities, collectors, and the Smithsonian Institution. We invite you to learn more by visiting our About Adam and Welcome pages. Would you like to purchase this piece? Do you have a question? Submit this form and we’ll respond promptly. 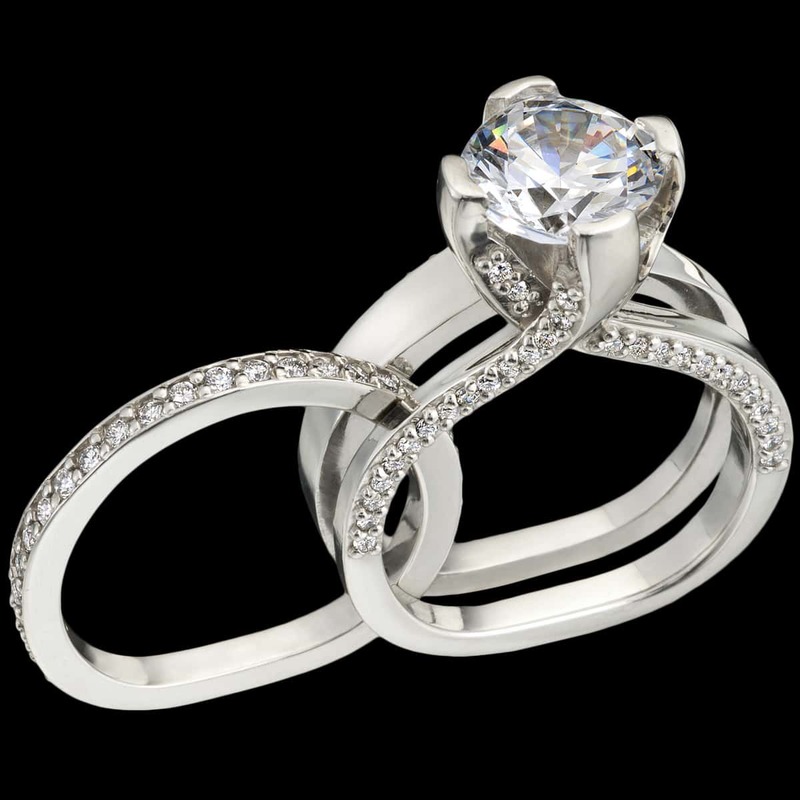 Visit our Engagement Ring section for diamond education and our Engagement Concierge service.